Your Best Pressure Washing Cleaning Services Louisville . Your Louisville’s Professional Pressure Washing Cleaning Service Provider. Your deck has green mold and you don’t know how to remove it. Your white siding is not white any more. You have mold all over you home. Your sidewalk and driveway have grime and buildup. You don’t have time to do a pressure cleaning. You don’t have a pressure washer or don’t want to buy one. These are some of the reason of why many of our clients hire Rodriguez Cleaning Service to take care of their pressure washing needs. Call Today For an Estimate at 502-365-6779. If you are looking for a reliable company to do some Pressure Washing at your location ( home or business) you are in the right Place fora reliable and permanent cleaning service. You should consider a few things before you hire someone. There are many companies in town but not all of them are professionals and carry insurances. There many ways to use a pressure washing, starting with high pressure and you can go to Low Pressure. If you need some concrete driveway or sidewalk clean, you should use high pressure with a good degreaser plus you should have the right nozzle. Be aware that if you don’t have the skills and the experience you can damage the concrete. At a 4000 PSI you can cut a piece of wood. If you are cleaning the siding of your property you should do what we call soft wash which means you should be able to put your hand in front of you nuzzle. To clean siding you need the right solution because you can kill the grass. If you will clean a wood deck you should use medium pressure and mildew cleaner. Don’t be aggressive because you can damage the wood. Are all Louisville Pressure Washing Companies the Same? These are just a few thing that whoever you hire should know. Make sure that you understand the procedure for the cleaning and the chances that you have for damage. Also the should have insurance because when you are using a high pressure an accident can occur and you want to make sure that wherever happen someone will take care of you. 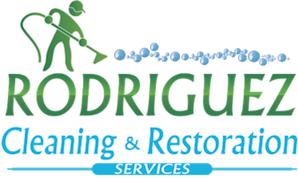 At Rodriguez Cleaning Services you will find a fast and affordable Pressure Washing cleaning services in Louisville Kentucky. Built up of dirt, airborne pollutants, dust, grime, mold and mildew do a number on the condition and curb appeal of your home’s exterior. Have you been thinking that buy a new siding is the only solution? Let us help you with your pressure Washing Need in Louisville. Your problem is our problem and we are here to serve you. Pressure Washing Louisville. With us you will find the best and most economical solution available for quickly and inexpensively power washing cleaning home services. Our proven safe & effective house washing method poses no risk of damage to your property. The combination of our specialized detergent and light rise gently washes away years of unsightly buildup to reveal a clean, fresh, “like new” house exterior. if we are cleaning your siding we will use our soft wash method which won’t damage your siding or windows. We have procedures for all your pressure washing needs. With Us you get a detail plan of what we will do to clean your siding, concrete or deck before we begin, you will know what to expect and how much risk is involved in our method. You will always get a deep pressure washing cleaning services with not risk when you hire us. We are fully insured. Our people are background checked. Plus you will meet with the owner and you can ask as many question as you want you call for for a free estimate. If you are looking for a reliable pressure washing service provider in Louisville. You are in the right place. Don’t wait any longer. Call Today! Why Work With US on Pressure Washing Louisville Project? When you hire Rodriguez Cleaning Services for your Pressure Washing Cleaning need you always will taken care with respect and professionalism. This is what you get every time you call us.